Wait, what is a flare-up? Break-outs are to acne as flare-ups are to perioral dermatitis. They're usually red, often angry, and always a hell rash. 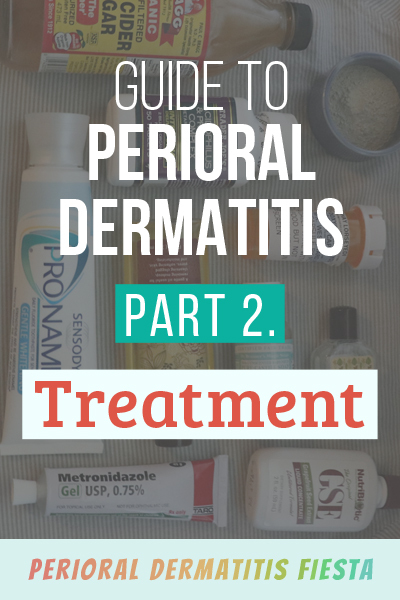 What should I do if my Perioral Dermatitis is flaring? Stop using makeup in the affected area. Avoid the sun, or at least wear a big ole hat. Cut out as many other cosmetics and skin care products as possible. 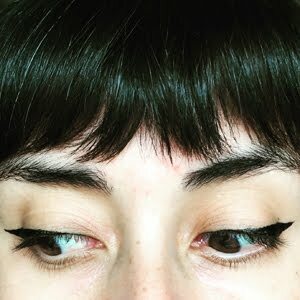 My face is rotting off, what do I do? Your face is rotting off, girlfriend! Call a doctor and make an appointment! While you're waiting for an appointment, give your skin a chance to calm down by following the steps above. Replace your current products with milder ones. Opt for products that have simpler ingredient lists and things that don't lather (sulfate-free, and ideally, surfactant-free). 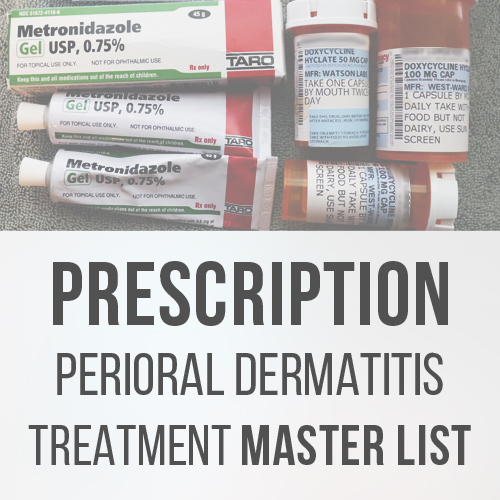 If you are currently on any doctor-prescribed topicals, I recommend waiting until your appointment to change course. There is no way for me to tell what your specific skin/health situation is, so I'll never tell someone to stop taking their medication. You can make some non-skincare changes as well: cut out spicy foods, change your pillowcase frequently. Be patient. Life is temporary. Your face is probably not going to be rotting off forever. How long does a flare-up last? In my experience, a flare-up can last anywhere from a few days to a few weeks. This entirely depends on the severity of your particular brand of POD of course. How do I treat this hell rash? I meant jock itch cream. Actually, it's athlete's foot cream. Note: If you take an oral antibiotic, you can fold a probiotic into your routine to help keep your system balanced. They sell fancy expensive probiotic pills OTC or in natural food stores, or you can just eat it (Yakult, Kefir, Kombucha, or good ole-fashioned yogurt). Hot damn, people love speaking in extremes. Never do this. Always do that. Use this for sure. Don't touch this crap ever. Rather than think there is some magic bullet, remember that what worked for someone else may not work for you, and what works for you may be completely different from what worked for someone else. Use articles like this for ideas, but do proper research lovies. Gather a variety of sources, read up, and use a critical eye. Bloggers who aren't medical professionals are almost always giving their opinion based on their own experience. They make mistakes, they get things wrong, they often do not see the big picture that comes from treating hundreds of patients or reviewing scientific literature. This is why I will always recommend seeing a doctor, or better — a dermatologist — when it comes to chronic skin conditions. Keep in mind though, doctors are fallible and they get things wrong too. There is still so much we do not know about the human body. 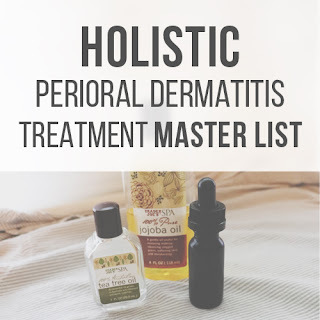 Regardless of whether you go the doctor route, OTC, holistic, or some combination of the three, be prepared to put in a bit of trial and error. It may take a few not-good treatments before you hit a regimen that works. 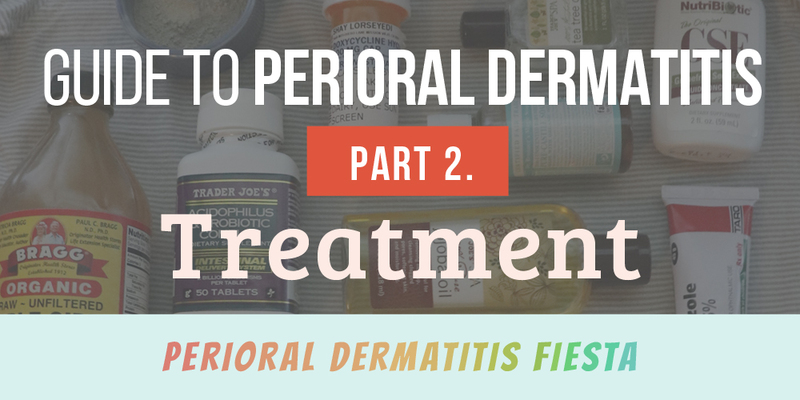 Can Perioral Dermatitis be permanently cured? 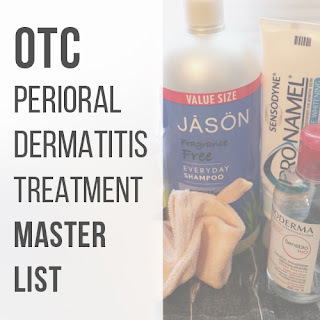 I asked my dermatologist about this, and she said that because I've had POD for so long, in order to aggressively treat it, I would likely need to take an oral antibiotic over a long period of time. I've heard of others who do a shorter (month or so) round of treatment and are good to go. Still, for others, POD is more long-term chronic, so they treat each flare as it happens while avoiding known triggers. In sum, I do believe POD can be permanently cured, but some people have a harder time than others. 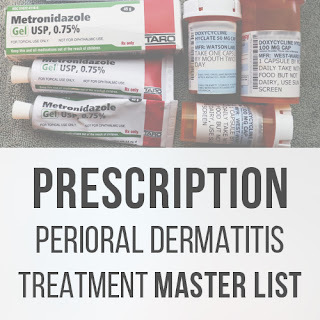 I reviewed the treatment I did with a dermatologist (Metro Gel + Doxycycline), plus my brief flirtation with topical steroids. I am not a doctor, this is my disclaimer. Do not take anything I say as medical advice. I am just a girl with some wild ideas, and I keep losing followers on Twitter because of my inconsistent posting, punctuated by sporadic tweet storms. It was a once-in-a-lifetime eclipse people. Of course I was going to lose my mind for two hours. Isn't this supposed to be a Fiesta? Why am I not having any fun? I made you a Spotify playlist.